The way we tell stories is about to change. Imagine you're hearing a story when suddenly characters and images from the tale start to appear in your world. This immersive way of storytelling is in the not-so-distant future thanks to the Microsoft HoloLens and Rémy Martin. 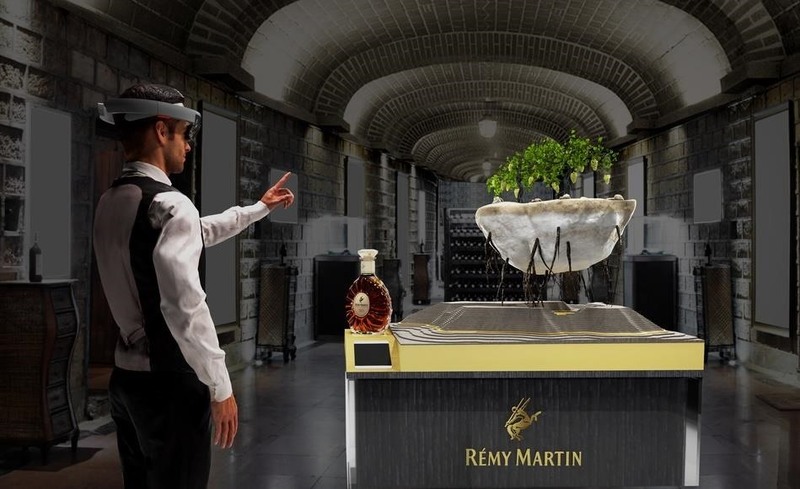 Recently, the 300-year-old champagne company Rémy Martin announced that it has partnered with leading HoloLens development studio, Kazendi to tell their story using mixed reality. With narration from cellar master Baptiste Loiseau, the company plans to launch a fully immersive experience that takes place around a bespoke 3D wooden table. On the table, Cognac Grande Champagne and Cognac Petite Champagne will be holographically displayed. As the narration continues, there will be projections of the process that goes into making the company's world famous champagne. Customers will be able to literally watch the company grow before their eyes. To us, Mixed Reality provides an amazing medium for storytelling. It allows us to reveal our roots, our chalky soil, and our exception by virtually showing it raise from the ground for consumers to see. Rémy Martin is committed to bring people together for exceptional moments of sharing and celebration. Microsoft's HoloLens technology came naturally as an immediate innovation answer to sharing these moments in an emerging social space. Ultimately, mixed reality is deeply about engaging people in new social experiences. We are thrilled to launch our first consumer brand experience using HoloLens with Rémy Martin, who, although an almost 300-year-old brand, keeps on nourishing its exception and tradition through innovation. The launch of Rémy Martin's story, 'Rooted in Exception', through the HoloLens will take place during a premiere in Los Angeles on June 15.